Personalization is a success driver in customer acquisition and retention for the insurance industry. Our always on, digital world is transforming consumer expectations and the way they interact with businesses. This new reality means that delivering value to consumers has become more necessary, yet also more complicated for insurers. Pricing is highly competitive. Products are quickly commoditized. Customer loyalty is scarce, with consumers easily switching among providers. 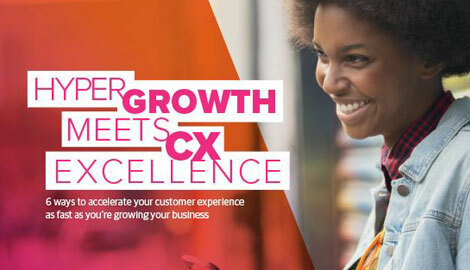 In this marketplace, your customer experience is your differentiator. Research shows that 70 percent of buying experiences are based on how the customer feels they are treated after they become a customer, according to McKinsey. And 89 percent of consumers have stopped doing business with a company after experiencing poor customer service, says research from RightNow Technologies/Oracle. This should be a wake-up call for the property & casualty (P&C) insurance industry—The World Insurance Report found that only 30 percent of policy holders report having positive customer experiences with their insurers. How can you stave off defection and improve the customer experience? Personalization holds the key. Personalized acquisition and retention experiences can increase policy holder conversion by up to 20 percent, McKinsey research states. There are a number of ways personalization can influence both acquisition and retention for P&C insurers. In the past, the insurance industry was lucky enough to have many long-term policy holders, sometimes even lifetime customers. People bought policies through intermediaries, and rarely did the insurers deal directly with consumers. Then GEICO upended the status quo with a direct-to-consumer advertising blitz, opening the floodgates of consumer competition. Now hardly a television commercial break goes by without at least one insurance company enticing consumers to shop around and switch their property & casualty insurance. For all the ad campaigns, which mostly compete on price, the vast majority of insurance companies don’t actually know when a consumer will need their services, or what individual policies they may be most interested in. This is a true lost opportunity. Companies that understand and offer relevant options when a consumer need for insurance arises can capture and retain market share, regardless of catchy slogans or mascots. In an Accenture consumer study, 82 percent of respondents say that personal interaction is what drives policy holder enrollment (see Figure 1). In addition, 41 percent of those surveyed say that personalized services impact purchase decisions. Personalized search experience: Personalizing the initial contact is critical. A valuable search experience is one in which the individual does not have to repeat information already given. The information can be passed through to unique landing pages based on pre-determined search keywords and parameters. The search experience should be device-specific, and where possible use the data available to segment that customer into a relevant customer group. Example: For its auto insurance search strategy, Amica understands prospective customer location and garage share (number of cars) when customers search. It offers discounts on policies relevant to customer’s search, and customizes online search results to focus on individual needs. Attribute-based routing and custom call scripting: Attribute-based call routing enables a potential customer to speak with the right person to help convert them. When specific information is requested, the system leverages skills-based call routing to answer questions timely and accurately. In addition, custom call scripting can align associates to specific customer inquiries and search histories for both inbound and outbound sales calls. And temporal 800 numbers can be unique to a specific policy holder’s online search history, so companies can understand the path the prospect took to reach them. Examples: Through text analytics from its social media activity, Security First Insurance can quickly assess comments and tweets, routing claims and questions to the appropriate department for a prompt resolution. And Farmers Insurance Group organizes, stores, and analyzes its call center data from associate surveys. This gives the company the ability to update scripts immediately for improved inbound and outbound interactions. Integrated technology platform: An integrated technology platform manages the multiple channels consumers use to search for and purchase new policies. It allows the insurer to remember policy holder and prospect profiles and preferences, and connects the policy holder’s claim history to the call. This is an important element of the pre-customer experience, since prospects may likely have multiple interactions across channels before enrolling. Example: GEICO uses the mobile channel as an extension of its technology platform. Potential customers use it to get a quote on their phone, then link to a mobile voice assistant to answer questions. The information from the app feeds into the larger customer database. In addition, it personalizes the search experience for customers’ additional policy needs, addresses registered policy holders by name, and is always ready when an incident occurs. Policy holder outreach: Targeted, relevant, and proactive policy holder outreach delivers increasingly personalized interactions for cross-sell and up-sell. The best outreach is personal and demonstrates that the company cares about each individual. This could mean intervening via chat on the website if someone is stuck on a page for a while, or sending proactive messages ahead of a renewal or during a major life event like moving or a new baby. Example: Nationwide used rules-based proactive live chat to reach out to consumers who stayed on pages too long. The program captured upwards of 40 percent of at-risk users, with an average chat experience satisfaction score of 4.08 out of 5, and the company recuperated the associated costs of the program within eight months. Analytics platform: Analytics tools and strategies can help companies know when and what to communicate to customers and prospects, predict prospect and customer actions, optimize offers based on search history, and identify when shoppers are ready for outbound calls. Even before enrollment, there is data from search history, website visits, and information requests that can be leveraged to improve acquisition rates. Example: One of our insurance clients needed to reverse a steady decline in the performance of its customer acquisition program while lowering acquisition costs. Using analytics tools and strategies, we helped them identify pockets of high-value prospects with high marketing responsiveness, and pointed out where marketing investments could be reallocated away from underperforming populations. The company reduced marketing expenses by 60 percent and lowered the cost to acquire members by between 10-20 percent. Personalization can also have enormous impact on customer retention efforts. P&C companies know a lot about their policy holders, and with the proper strategy can leverage this knowledge to build individual engagement that leads to profitable, long-term relationships. Research from 1to1 Media and KBM Group shows specific ways that engagement impacts retention (see Figure 2). Know the policy holder: There are a number of ways to formalize individual or segment customer knowledge and build relationship strength. They include moments of truth journey maps that uncover opportunities for personalized touchpoints, such as price increases, renewal notification, or product up-sell/cross-sell. In addition, some companies track individual customer preferences and create personas to match the unique needs of certain customers. Even just staying aware of customer life events is a step in the right direction. Example: An insurance client conducted a data asset inventory of its customers to create a set of “life stage” target segments. Detailed profiles for each customer segment were developed. They received customized segment messaging and optimized marketing effectiveness. Proactive outreach and relevant offers: Call it the “Amazon” effect: consumers expect relevant and proactive interactions from all companies they do business with. Insurance is no different. Insurers need to engage their policy holders with the right messages at the right time. This means communicating to policy holders according to defined personas, and optimizing offers based on customer lifetime value, behavior, and needs. Leading companies build technology-driven, personalized treatment plans for customers, and enable infrastructure and processes like intelligent call routing and custom engagement scripts to be relevant in the phone/chat channel. For proactive outreach, predictive analytics, propensity models and churn modeling can help identify and save at-risk customers, and lean process design can streamline the frequency and triggers of customer outreach. Rules-based trigger communications can be established to automate processes, with messages tailored for relevancy. In the contact center, post-interaction customer care surveys can be used to capture the voice of the customer, as well. Example: Electric Insurance uses an automated system to send messages to customers who may be affected by adverse weather conditions. For example, customers living in a region expecting a hurricane are automatically emailed insurance policy information and safety tips. Handle claims fairly: Insurers who handle claims well are more likely to see retention increase due to customer satisfaction. With tactics like first contact resolution, attribute-based routing, segment-based associate training, intelligent Web self-help, or associate empowerment, the goal is to satisfy the client by resolving issues if possible, or be direct and transparent if not. Example: Security First Insurance uses text mining, text analytics, and natural language processing to assess whether the given message in social media expresses urgent distress and the immediacy of action. It also deploys claims first responders in times of crisis to ensure clients are cared for and problems are resolved in a timely fashion. Value policy holders: When policy holders feel valued by their insurance providers, they are less likely to switch. Insurers should create an environment of trust, where associates serve as advisors and advocates, acting in their best interests. Customers should be treated professionally and information should be made transparent. Example: USAA suspended premium charges for its auto insurance customers who were deployed overseas, and proactively sent refunds, costing millions of dollars. This was a great example of USAA putting customers first. But its relationship is so strong that many sent their refunds back. It’s not easy to personalize, or else everyone would do it. Some of these efforts will require the help of strategic and technical partners, and may need budget dollars. But in the competitive world of P&C, it’s critical that you have the winning playbook.